The travel industry has been one of the fastest growing industries in the past twenty years in spite of crises and strained political relations around the globe. To date, developing countries have not profited much. While a growing number of tourists are visiting developing countries, that does not necessarily lead to improved standards of living. More hoteliers thankfully are stepping up and increasingly getting involved in sustainable tourism. We look at how Cambodia, and one property in Siem Reap, Shinta Mani, has built what TripAdvisor considers its #2 Hotel in the world, from the ashes of the brutal Khmer Rouge. Cambodia’s rich artistic culture was destroyed in the 70’s by the brutal Khmer Rouge regime. Today, despite terrible poverty, a revival is taking place. Long known for its artistic traditions – most famously demonstrated by the temples of Unesco World Heritage site of Angkor Wat – this nation of 14.8 million was once home to a vibrant contemporary art and music scene. But when the Khmer Rouge of 1975-79 took power many artists were a direct target of the new order that killed an estimated 2 million Cambodians within four years. Under the Marxist leader, Pol Pot, the Khmer Rouge tried to take Cambodia back to the Middle Ages, forcing millions of people from the cities to work on communal farms in the countryside. This dramatic attempt at social engineering had a terrible cost: whole families died from execution, starvation, disease and exhaustion. While most of the government spending today goes towards essentials like education or healthcare - Cambodia is a developing country - the riches of its people, past and modern culture as well as its gorgeous landscapes have made the country a cherished and popular tourist destination. These are the same elements that moved Christian de Boer of Shinta Mani. It‘s clear that the intense culture and heritage of Cambodia are at the heart of everything he does. 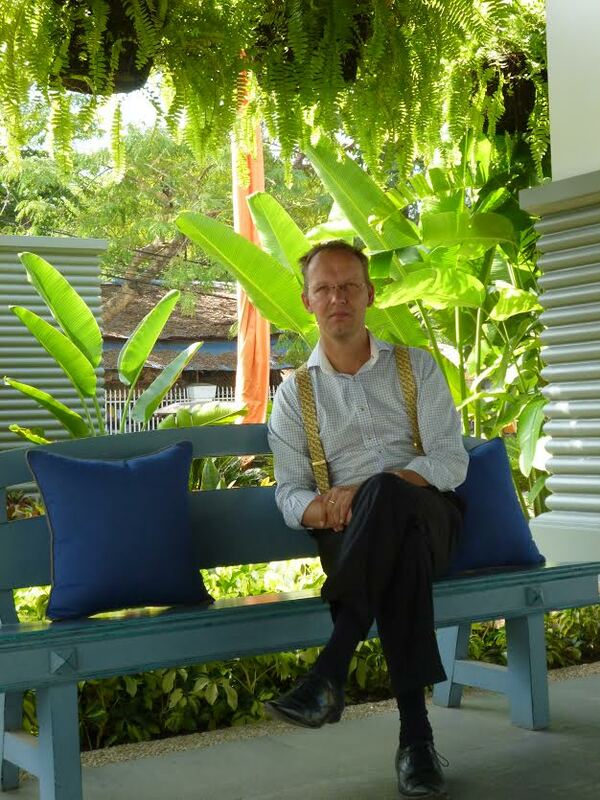 Having lived in Cambodia 8 years, first as Director of Sales and Marketing at the legendary Hotel de la Paix, and most recently as the General Manager of Shinta Mani, you can sense the Dutchman’s pride in his adopted nation when discussing how Cambodia was once a melting pot of arts and culture before the Vietnam war broke out. Christian describes a country that in spite of the difficult legacy of civil war is making strides to return to its former glory. His passion is The Shinta Mani foundation, which empowers locals through education, health-care and direct assistance. Before getting into that we need to know more about Shinta Mani’s beginnings. When you walk the short distance from Angkor National Museum -- amid the palm trees of the French Quarter of Siem Reap -- to the Shinta Mani Club & Resort, it's hard to imagine the brutal Khmer Rouge regime that once ruled this land with an iron fist. But in a nation that lost 90% of its artists, musicians, dancers and intellectuals during that period, remembering the past is a vital part of safeguarding the future. When you step into the lobby of Shinta Mani you immediately notice the Akorian inspired design courtesy of interiors legend Bill Bensley. The best part of Cambodia is its people and the local atmosphere is unmistakably joyous. When it originally opened as a training school for Hotel de la Paix 12 years ago, before transitioning into a guest house, there were no hotels or schools in Siem Reap. Growing from these humble beginnings to an award winning property with 100 rooms is no easy feat. Training plays an important role the success of Shinta Mani as providing guests with an authentic experience is non-negotiable at this enterprise. It wasn’t until the early 1980s that a cultural revival started taking place in Cambodia, however twenty years of economic hardship after the war prevented the country from fully regenerating itself artistically. But there’s a resurgence underway. It’s clear to anyone who visits that Cambodia is a mecca of culture and the arts. And if you stay at Shinta Mani you’ll notice that there’s something different about the place. 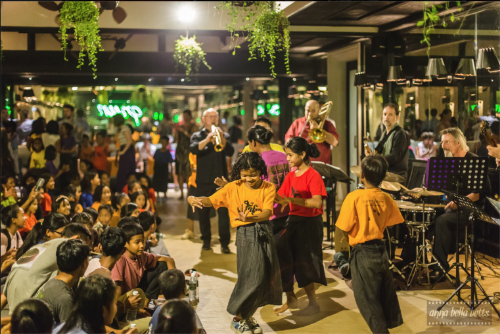 Just last week they collaborated with Cambodian Living Arts (CLA), Siem Reap and four professionally trained musicians to organize a Khmer Music concert for close to 300 underprivileged children. The Khmer Rouge banned all forms of art that did not praise the communist party and its leader, and hotel staff and guests alike are clearly moved to being a part of the movement that is seeing Cambodia’s musical tradition restored. Shinta Mani is conscientious that it doesn’t want to become a western enclave. And this is just one of the many reasons guests keep returning to Shinta Mani. Cultural and environmental sustainability are key components to the success of Shinta Mani. In line with their objectives for the Shinta Mani Foundation, the hotel has a policy of only hiring local staff -- all 250 employees are Cambodian -- and each employee receives rigorous training in every area of the business. Shinta Mani understands that their employees are their greatest asset and their high staff retention rates are a testament to this, not to mention the hotel’s sterling TripAdvisor reviews. They don’t charge late check out fees and won’t turn away an early arriving guest. “If I go to your house and we say ‘I’ll be there at 2 pm,’ and for some unknown reason I arrive too early and knock on your door. No one would say, I wasn’t expecting you. Can you go outside?” The message to guests is clear: they come first, but not at the sacrifice of their employees or the environment in which they operate. That’s simply not a tradeoff Shinta Mani believes it needs to make. The Shinta Mani Foundation objectives are grand. Their program’s goal is to help change the lives of thousands of Cambodian people living in poverty every year through a combination of education, health care, direct assistance (including water wells and village support) and their latest initiative extends to small business loans. Since 2004, the Shinta Mani School of Hospitality has trained underprivileged Cambodians hotel operations and has helped graduates find employment, all free of charge. It’s clear from the results (1,400 wells, over 200 hospitality graduates and one hundred homes) that by working together and practicing responsible tourism -- and with one-hundred percent of every donation going directly to assist underprivileged Cambodians – they have been able to make a real difference to the Siem Reap community. These kinds of numbers are unheard of for smaller independent hotels. Shinta Mani understands the purpose of Facebook is not to highlight promotions but to remind people of the wonders of the country. “Never post a picture about ‘come and eat a steak for $40, or a spa treatment. It’s not interesting. Posting about their business and how they can make money is not going to inspire anyone.” With images of vast landscapes and cultural events garnering thousands of likes, they clearly understand their audience. Shinta Mani recently activated the Facebook booking app provided by Frontdesk Anywhere: bookings through this channel are now in excess of 15%. And with no OTA commission fees, they’ve got a lot to be happy about. Technology has also played a huge role in the resurgence of the country and the burgeoning tourist industry, not to mention digital capacity building for its not-for-profit organizations. But it’s not all good news: tourism is down 5% from last year for reasons as varied as the election cycle (apparently Americans don’t like to travel in election years) and the currently unfavorable exchange rate with Australia. It’s also not all bad -- the country still receives upwards of 20 million tourists annually. One thing is certain, cloud-based technology has revolutionized how hotels operate. “Even five years ago we couldn’t have used a cloud-based hotel management software like Frontdesk Anywhere. But the Internet has changed all that. Working with Frontdesk Anywhere has made it possible for us to operate with a complete guest centered approach”. Christian mentions the flexibility of his hotel software, which not only includes their internet booking engine on www.shintamani.com but their Facebook fans (all 600,000+ of them) never have to leave the social media site to book a room. “Frontdesk Anywhere makes the integration process simple. This constant interaction with our guests on social media makes us work harder as we’re constantly listening to what our guests want”. 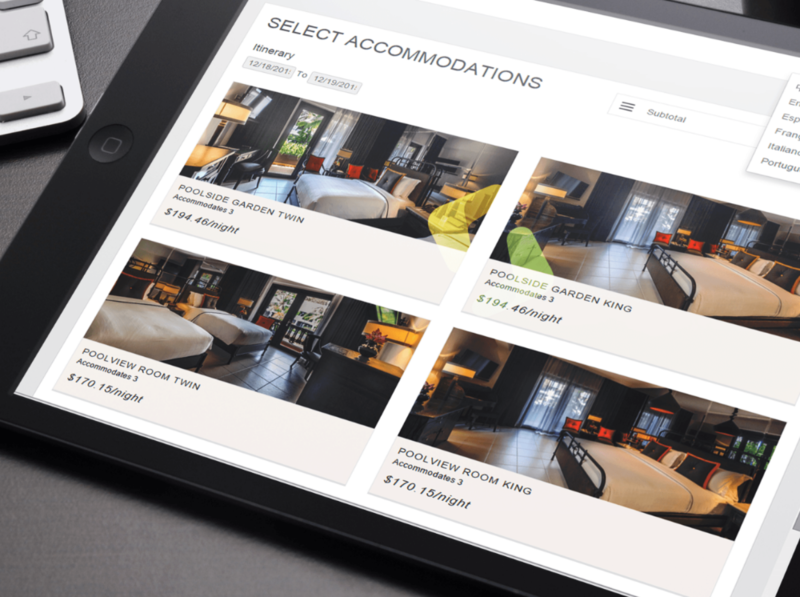 Start collecting more direct bookings today with Frontdesk Anywhere's PMS and Facebook online booking engine. He also attributes their success to their guest reviews, again citing TripAdvisor and Facebook rather than a traditional form. “I’m not a fan of guest reviews. It’s more time sitting in my office. Better to speak to guests than send out a form. It would be nice if they could do my marketing for me,” he says with a smile of someone who revels being in the midst of everything rather than stuck at a desk. In the meantime, the accolades for Shinta Mani keep on rolling in -- they were just voted #2 in the world by TripAdvisor, who determines the ranking from millions of reviews, and they’re regularly featured in Condé Nast’s Top Ten. The message is clear: build a socially responsible model which exceeds guests and staff expectations. Such an approach to CSR comes quite naturally to the Shinta Mani team, whose authenticity and ingenuity, as well as their philanthropy, has won the hearts and minds of their guests. Christian recently announced he will be leaving the Shinta Mani after almost eight years. We wish him well with his next endeavor.